This week has a load of salivating car news, including a even faster Mercedes-AMG GT known as the GT R, a one-off Vantage GT12 Roadster and a S 63-tuned Brabus that is officially the fastest, most powerful convertible in the world! A one-off Aston Martin GT12 Roadster has been revealed at the Goodwood Festival of Speed. 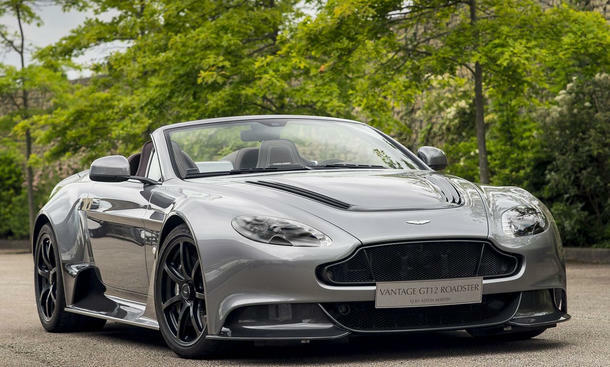 The special GT12 Roadster was produced for one lucky customer by Aston Martin's bespoke personalisation and customisation service Q. The car is truly unique, and is the first time that the engineering team at Q have ever produced a fully personalised one-off model. Whilst the car is based on the Coupe, it is actually quite different in more ways than just the roof. A smaller rear wing, bigger diffuser, unique suspension system, magnesium inlet manifolds and torque tube, plus a full titanium exhaust system ensure the GT12 Roadster really is more than just a convertible. To finish off the look, the car boasts a subtle metallic grey paint job and a chocolate-coloured cabin, which really does go some way towards justifying its estimated £500,000 price tag. Mercedes' 2-seater sports car has been taken up a notch with an all-new 'R' version. The initial Mercedes-AMG GT launched in 2014 but the demand for an even more ridiculous one was high, and thus the GT R was born. The car is fully track-focused, and subsequently both lighter and faster than the 'normal' version. It's powered by the same 4.0-litre twin-turbo V8, but instead taken from 503 bhp to 577 bhp meaning a 0-62 mph time of only 3.6 seconds and a top speed of 198 mph. Other upgrades and changes include uprated brakes, new active front splitter, active underbody panel, active exhaust system, countless carbon fibre components and a load of significant tweaks to the body styling to make the car chunkier and meaner. 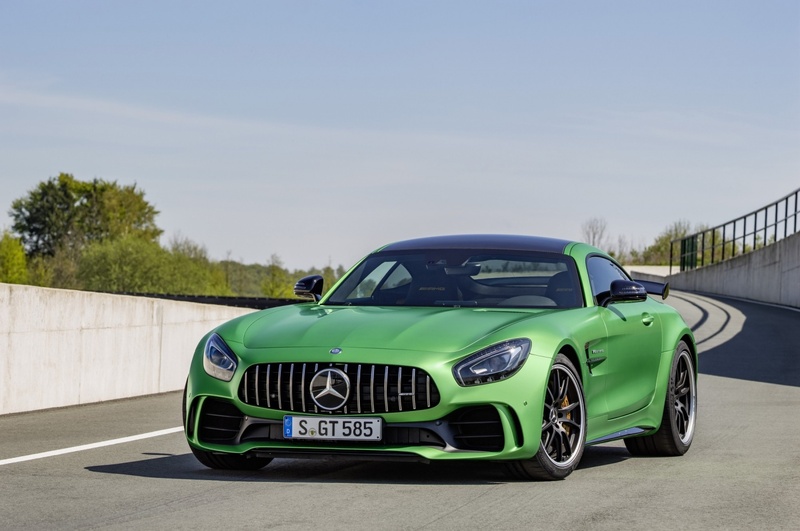 The AMG GT R will be available in November with European arrivals set for March, all at a cost of around £150,000 each. 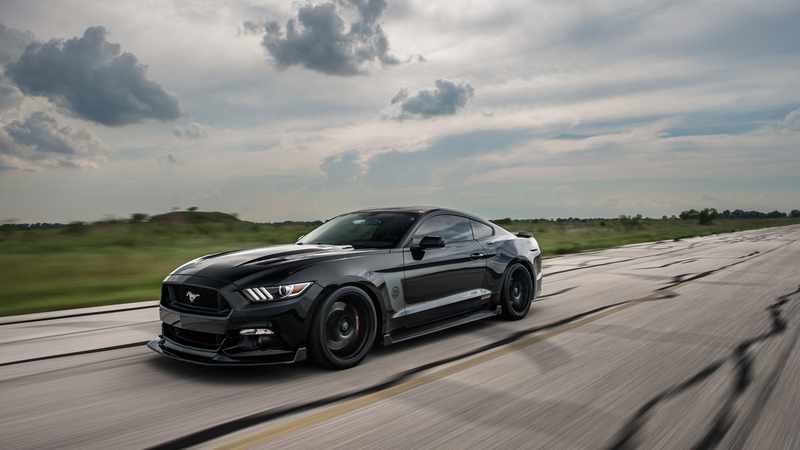 American tuning company Hennessey Performance have revealed a highly tuned Mustang known as the HPE800 Ford Mustang. The car has been created to celebrate 25 years of Hennessey Performance and delivers supercar performance in the fashion of all-American muscle. Under the hood is Hennessey's very own HPE800 system, which is a 5.0-litre supercharged V8 engine running a whopping 804 bhp! That makes the car capable of 0-62 mph in 3.1 seconds and a top speed of 207 mph. Not bad for a Mustang, right? The engine isn't the only change, as the HPE800 Mustang also comes with Hennessey H10 Lightweight 20-inch alloys, upgraded fuel injectors and exhaust system and even a 3-year/36,000 mile warranty. Only 25 models will be made in total, with each coming with a limited edition serial numbered plaque and certificate of authenticity, plus some cool badging on the car to match. Price? Around £68,000 each, which is pretty reasonable for an 800 bhp car. 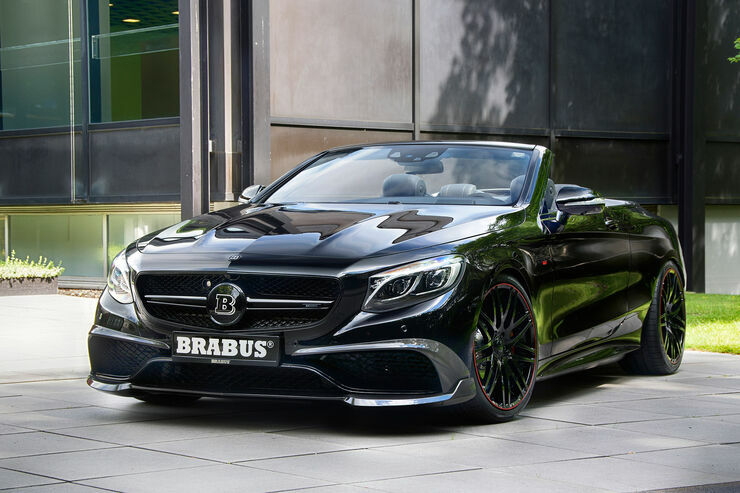 The latest creation from the folks over at Brabus is an insanely-tuned S 63 AMG known as the Brabus 850 6.0 Biturbo Cabrio. To produce the 850 6.0 Biturbo Cabrio, the German tuning company have taken an S 63 and turned it to the point that it's now officially the fastest, most powerful convertible in the world. The figures? Well the S 63 is already an impressive 577 bhp, but this beast, well it's a tad more. A phenomenal 838 bhp are pushed through its new four-wheel-drive system to give a 0-62 mph time of 3.5 seconds and a top speed of 217 mph (which is only that due to tyre limitations, nothing else). So what else do you get other than speed? Some of the changes include a wider, carbon fibre front grille, new carbon fibre front and rear splitters, 21-inch 'Platinum Edition' alloys (or optional 22-inch if you want) and a ceramic sports exhaust. The 850 6.0 Biturbo Cabrio is then finished in black to add to its intimidating look. No price has been revealed just yet, but with a 'normal' S 63 costing £134,000, you'd imagine this'll be significantly more. It seems as though rumours of an even faster Focus RS have been all but confirmed after an RS500 prototype was spotted undergoing testing. Although the new Focus RS only launched a few months ago, the demand for a more ridiculous version similar to the second generation RS500 is high, and it looks as though Ford are listening. The car was seen doing some laps around the Nurburgring and a few spy photographers have managed to get some shots of it, giving us all reason to believe it's very much on the cards. The images don't reveal much, but there are a few subtle changes to the front air intakes and vents that suggest the engine has been given an upgrade. As you'd expect the details are pretty minimal, but with the previous RS500 getting a 45 bhp boost over a standard RS, you can expect a similar upgrade for this generation, meaning the potential for a crazy 390 bhp! We're definitely looking forward to more information up until it's expected launch next year.